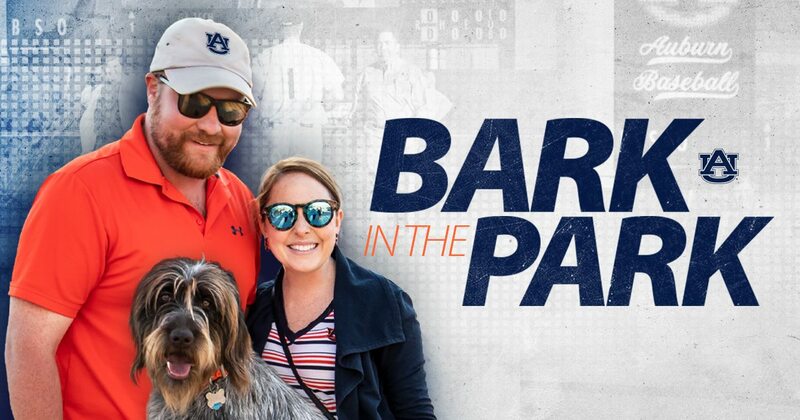 Join the College of Veterinary Medicine for Bark in the Park at Plainsman Park with Auburn Baseball on Tuesday, April 2, at 6 p.m. Faculty and technicians with the Bailey Small Animal Teaching Hospital will be attend to showcases several veterinary services offered, talk to animal owners and have fun in Plainsman Park. This is the third year the college has partnered with Auburn Athletics for the event. * Dogs attending Bark in the Park should be comfortable in a game environment with noise, other dogs and fans. * Attendees with pets should enter the third-base entrance where dog owners will be asked to sign a waiver. * One dog per person limit. Baseball tickets can be purchased through Auburn Athletics.